Police are looking for a man wanted in connection with a suspected breach of restraining order put in place to protect a victim. Officers have said they would like to speak to 30-year-old Anthony James Stevenson of no fixed abode. PC Pat Schram said: "Warwickshire Police are keen to locate Stevenson in relation to him allegedly breaching a restraining order. 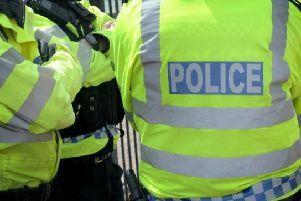 "This order was put in place to protect a woman Stevenson previously offended against and is alleged to have been breached in Warwick on Monday (11 June) night. "We have information that he may still be in Warwick or in Leamington. "We are asking the public to assist in our enquiries." Anyone with information should contact Warwickshire Police on 101.